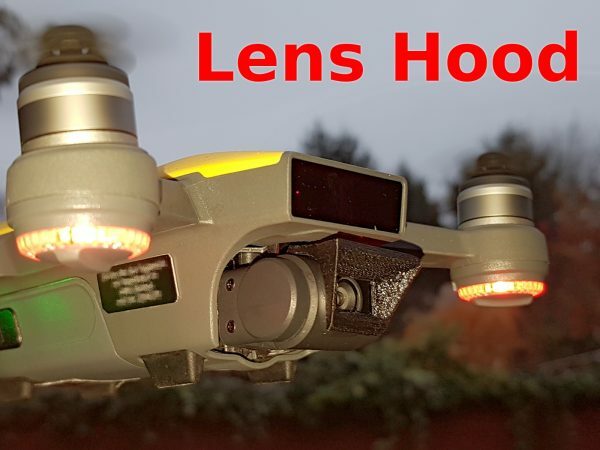 Lens hood for DJI spark drone. It just snaps on the camera body. The purpose is, beside avoiding lens flares, protection against rain drops.